Now the inspiration for a new Christmas special, CLICK, CLACK, MOO: Christmas on the Farm. New York Times bestselling duo Doreen Cronin and Betsy Lewin’s Caldecott Honor–winning book is now available as a Level 2 Ready-to-Read! But Farmer Brown’s problems REALLY begin when his cows start leaving him notes! 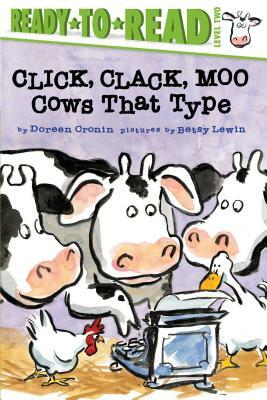 Come join the fun as a bunch of literate cows turn Farmer Brown’s farm upside-down!